“It is the life of the crystal, the architect of the flake, the fire of the frost, the soul of the sunbeam. 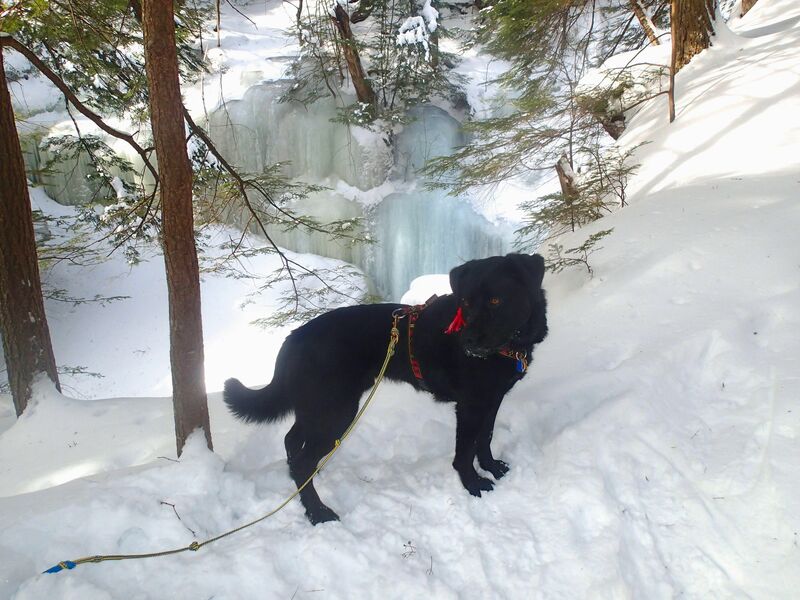 This crisp winter air is full of it.” (John Burroughs) | Vermont Paddle Pups! The last day of January, 2015 … Our plans had been to head out to the Northeast Kingdom, for some skijoring and snowshoeing on some trails we have yet to try. However, the National Weather Service has issued the following Wind Chill warning “BITTERLY COLD WIND CHILLS TODAY. DANGEROUS WIND CHILL READINGS…AS LOW AS 25 BELOW DUE TO TEMPERATURES 4 BELOW TO 4 ABOVE ZERO…AND WINDS NORTHWEST 10 TO 15 MPH WITH GUSTS UP TO 25 MPH.” So, we are postponing this trip, and will instead work on indoor agility, obedience practice, and maybe some gear maintenance and re-organization! We have been out quite a bit in January, and temperatures, though often cold, have not restricted our activity to any great degree. No “big” snowstorms have landed here, but frequent smaller storms have resulted in a nice surface of white stuff in the mountains, and on the trails. The cold temperatures have mandated frequent bootie use by the dogs, and on very cold or windy days, the parkas have come in handy. The nice carpet of snow has also meant that we have been able to do some “joring”, both on skis and with the kicksled. The dogs have really evolved into a nicely coordinated team when in harness for kicksledding. Edgar is definitely the speed, but Gryphon has a nice steadiness to him, and improved smoothness has been the result. 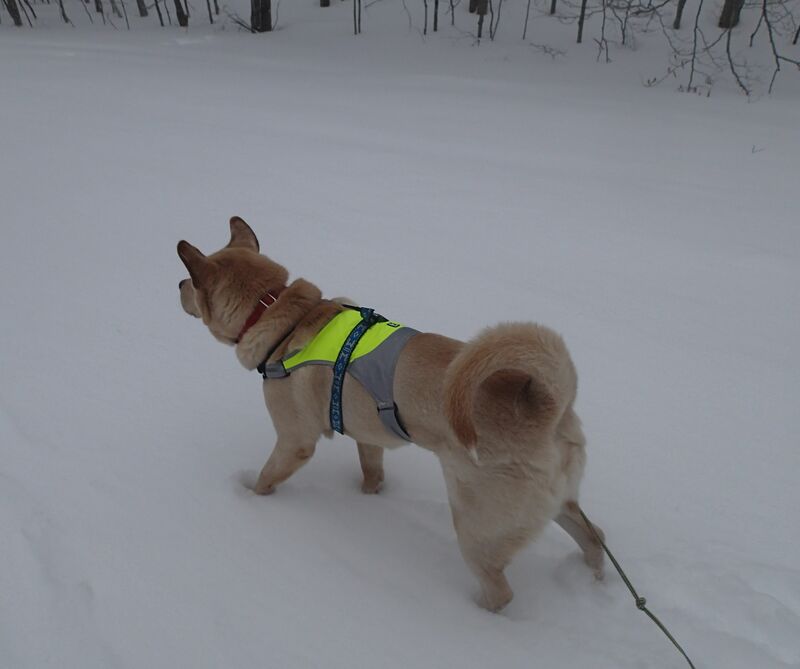 Our volunteer work as members of the Poo Crew at Kirchner Woods has continued, though with the nice snow, we have been taking more excursions exploring other trail networks. 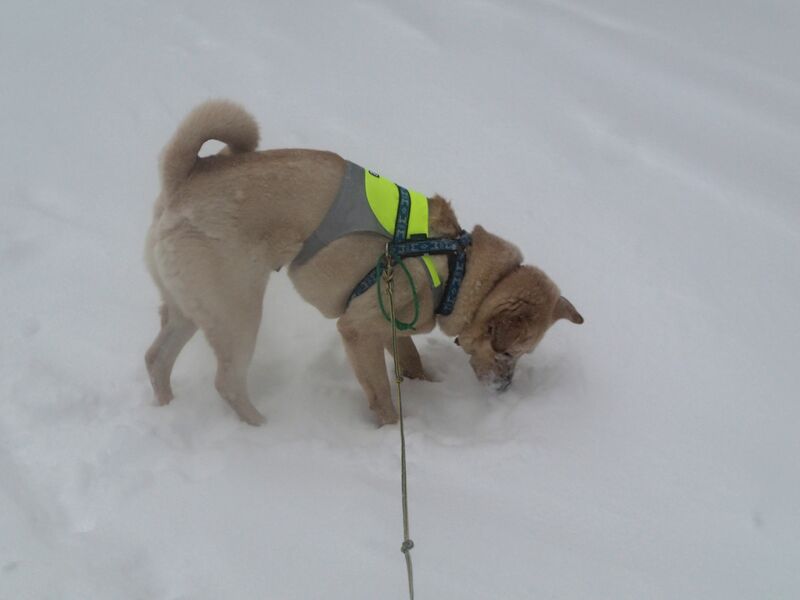 It may be strictly wishful thinking (or the frequent covering of new snow), but our data shows that more folks are actually cleaning up after their dogs! 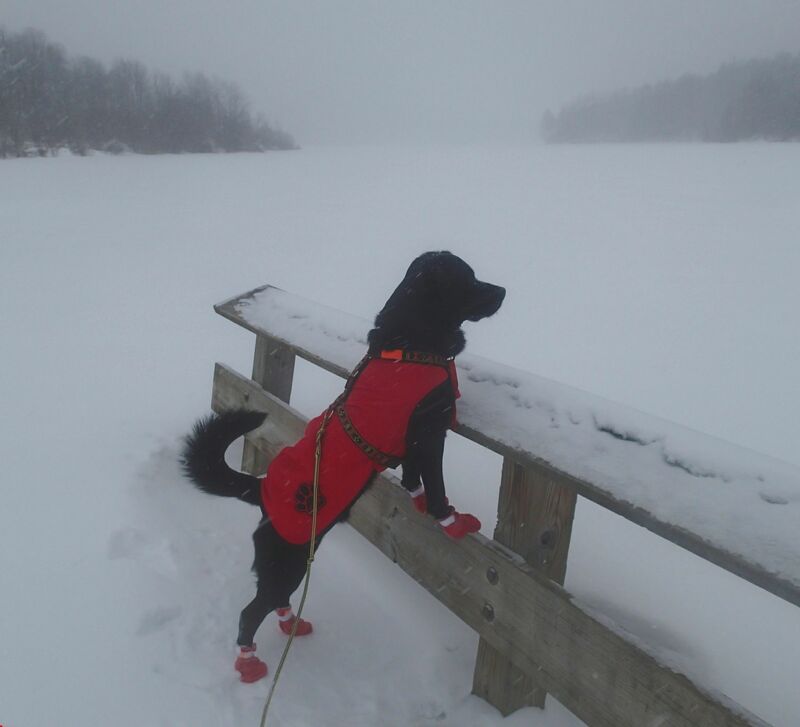 Edgar overlooking the water, during a very snowy winter storm…. Deep stuff in Kirchner Woods! Very Cold, but sunny and nice….. The wind was really gusting, and the heavy snow was blowing…Griff’s ears make it look like he is ready to take flight! Griff saw a tiny shrew run across the snow, and disappear into it’s subnivean world. Griff knew there was a critter under there, but just could not find it! Tomorrow, February will be upon us. 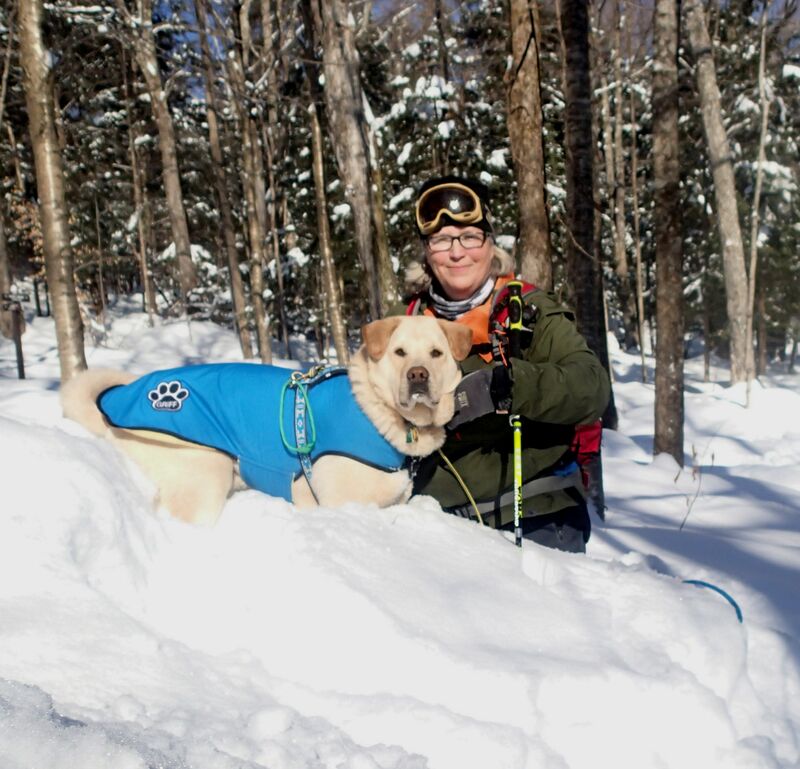 The forecast is for a few more days of very cold temperatures, so our trips will be short, and local…keeping safety for us and our dogs as the top priority. After all, this is Vermont, and we will be snowshoeing and skiing into April ( no matter what the groundhog/woodchuck sees on Monday) ! Only 15 weeks until we put the canoe in the water! ← January Journeys…a short video of the past few cold and snowy weeks! What beautiful shots! Spring seems so far away around here! Isn’t that true…I just got back from snowshoeing in 30 inches of snow…hard to believe in 3 months it will all be nice and green! I only just recently heard about skijoring and I think it’s awesome. Thanks for the video so I could see it in action. I wonder if there’s somewhere in NJ I can try this out with my pups! 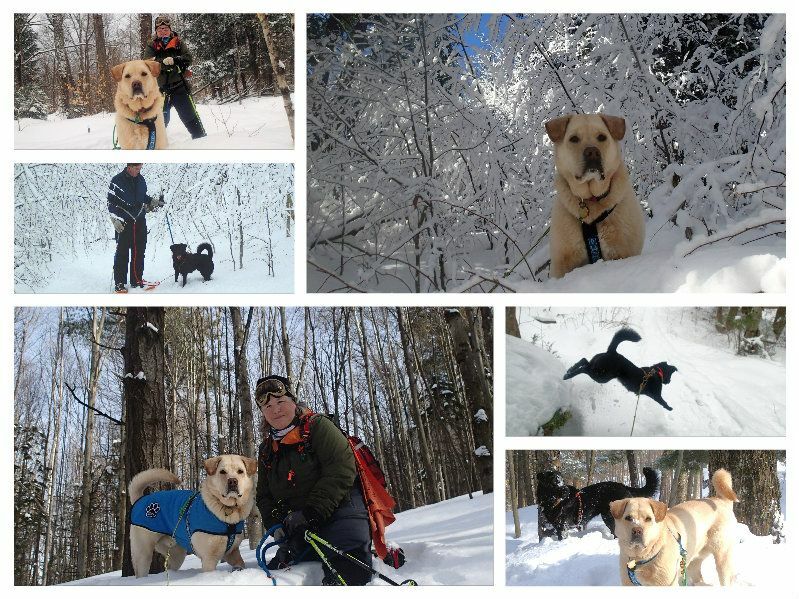 Check on the Northeast Dog Powered Sports facebook page. I’m pretty sure I’ve seen references to running dogs in NJ on that site. Have fun! What fun! Looks so beautiful – thanks for sharing! 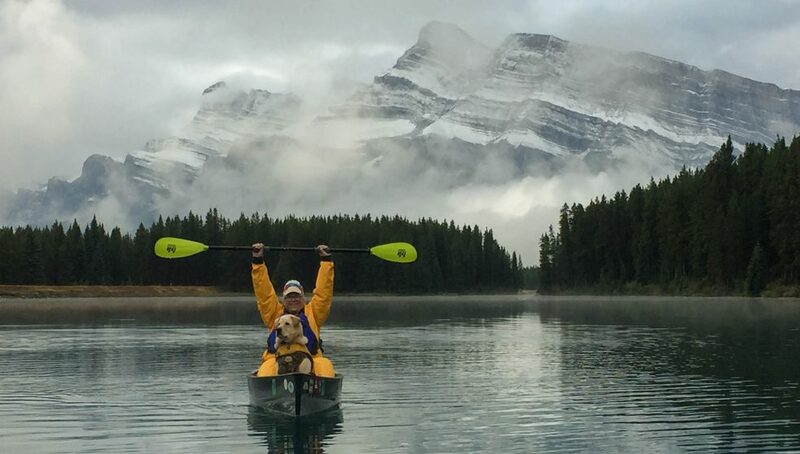 Wow, I love how active you are with your pups! The video footage is amazing ~ I definitely would like to try out skijoring. Looks like so much fun. Unique exercise, fresh air, and surrounded by the beauty of nature…it doesn’t get any better than that!